For over two weeks she has been feeling exhausted, under the weather, and just not herself. One sunny April afternoon, her mom Angela rushed her to the E.R. after realizing she had a high fever and her feet had turned bright red. The E.R. 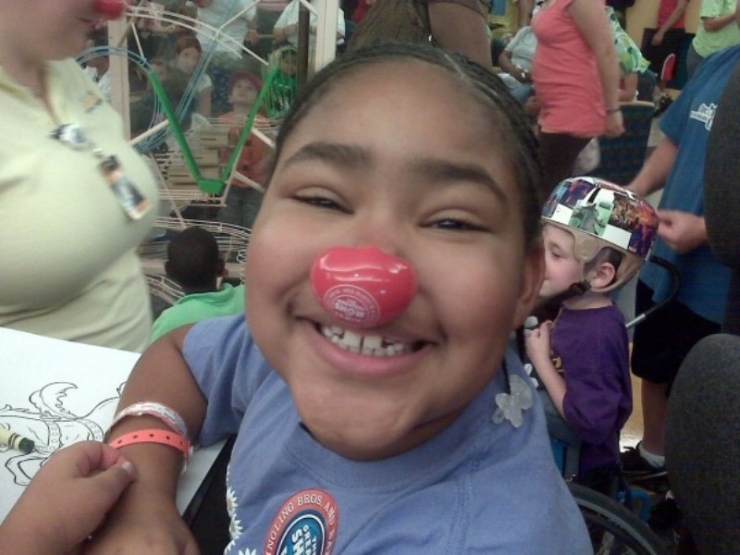 doctors were just as mystified as Alayja herself. She was coming back negative for every test. Her white blood cells were working hard to fight off an infection that no one could detect. It appeared her body was fighting itself. They could not have known then that this was the beginning of the end of the life Alayja had known. 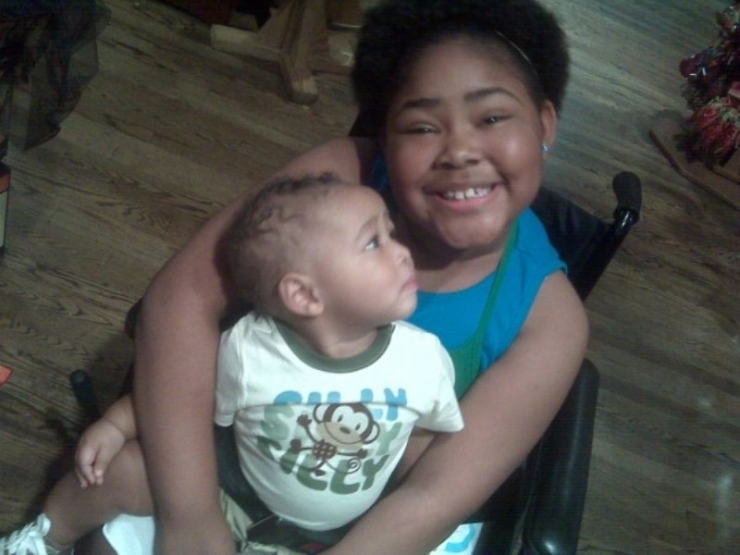 A week after her trip to the E.R., Alayja was sitting in a recliner doing her homework. She said something to her mom, and as she did, her eyes widened in fear: her words were coming out slurred. Startled, she tried to lift herself out of the recliner… and realized she physically couldn’t. Her lower body was non-responsive. She was frozen in the chair. Alayja started screaming. 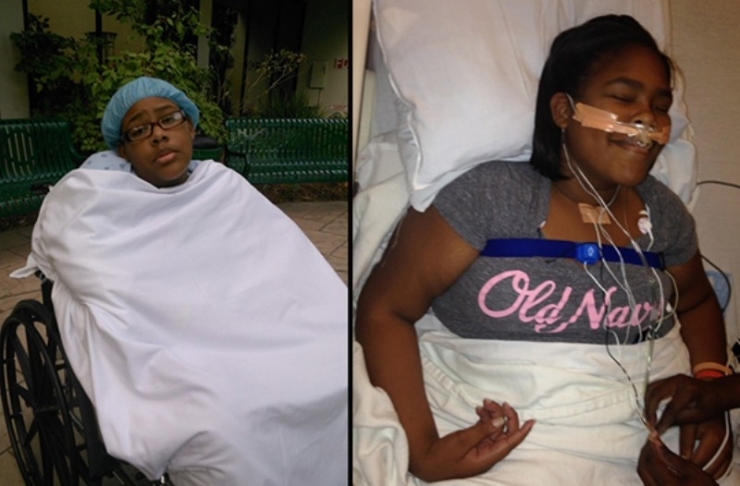 After that, “everything in her whole body shut down.” Alayja was rushed to the E.R. when she stopped breathing and had to be revived. When she woke up, all she could do was blink her eyes. Telling Alayja was the most difficult thing Angela had ever had to do. 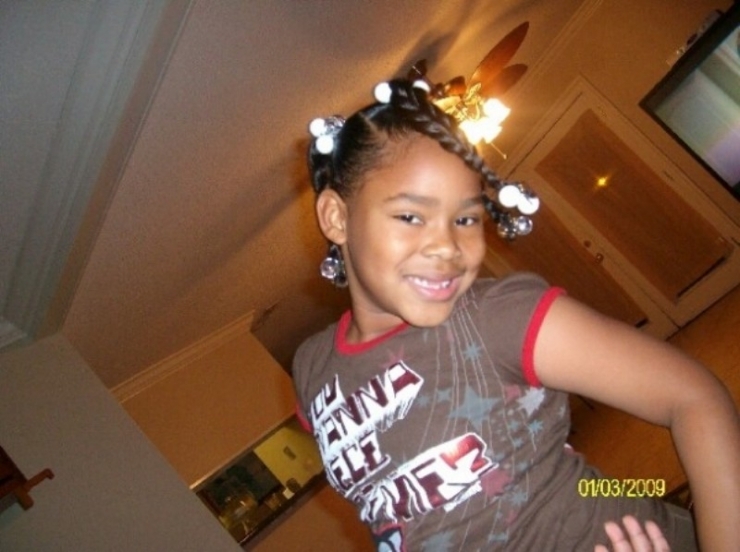 Weeks before, Alayja had been active and carefree. 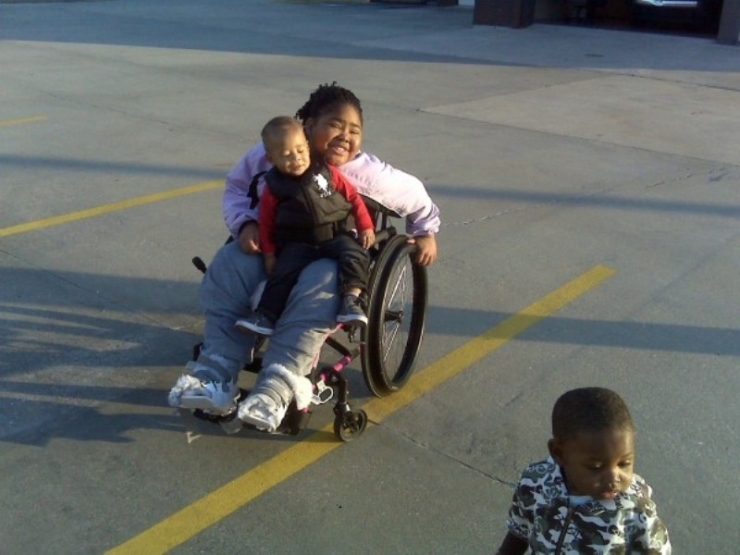 She loved playing basketball more than anything else. Now Angela had to tell her daughter she would never play again. 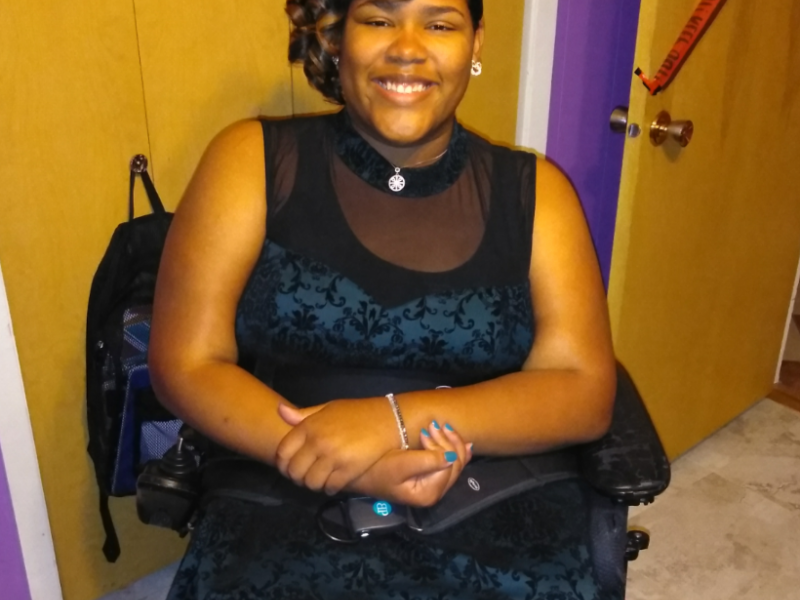 In the months that followed, doctors diagnosed Alayja with Neuromuscular Scoliosis and Transverse Myelitis, a rare inflammatory disease causing injury to the spinal cord. “We read about it together,” Angela told us. At the sound of those words, Angela felt a flutter of hope in her heart. 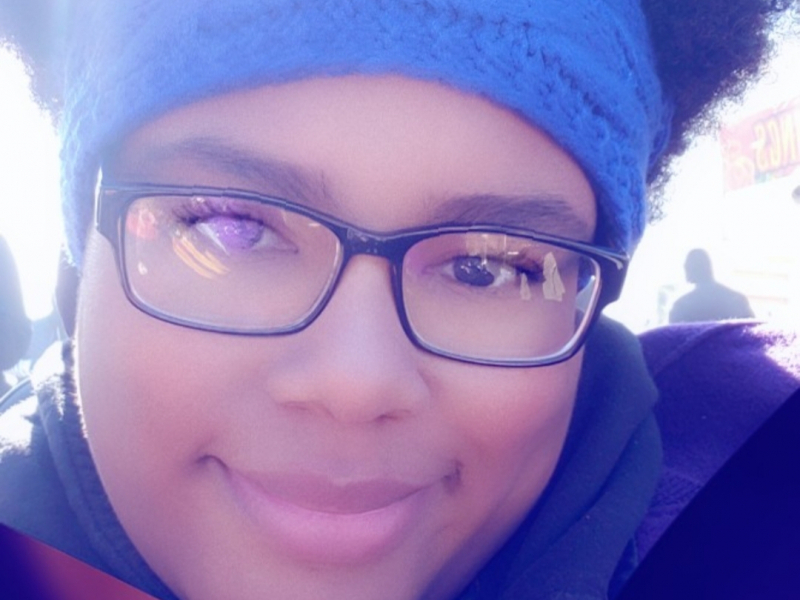 Angela describes her only daughter as a combination of “tomboy and girly.” She lives for the Disney channel, she’s shy but she’s always observing, and “she’s so much of a sweetheart, everybody falls in love with her.” We know what you mean. 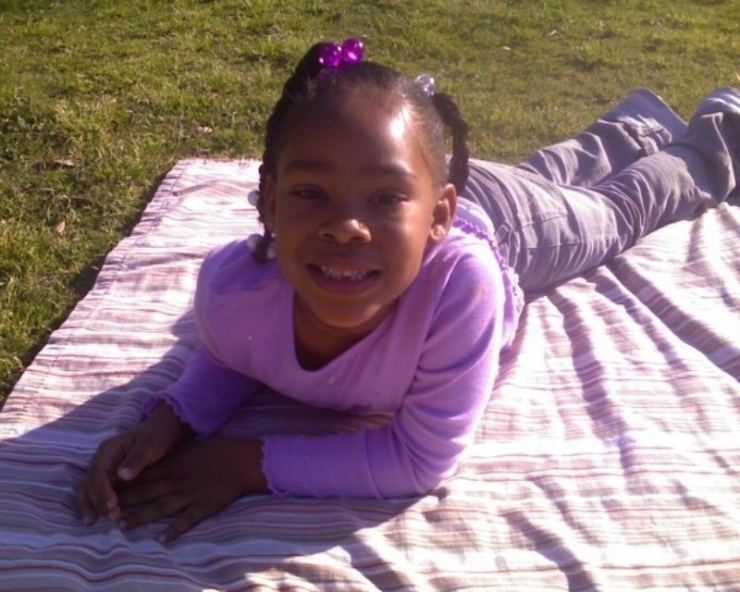 Pictured is a happy and healthy Alayja, age 7. In 3 months she will become paralyzed from the waist down. During one of her many trips to the hospital in a short period of time. How can a 7 year-old cope with everything going on? If you’re like Alayja, you do it with a smile. 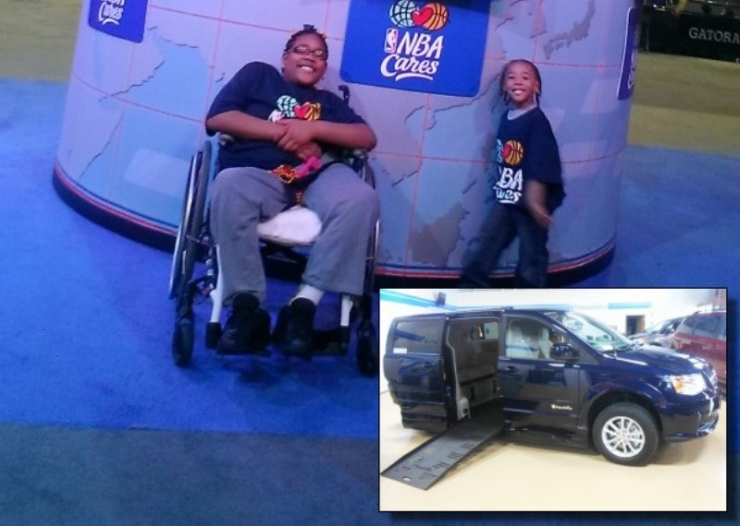 Big sis takes Elgin out to the basketball court – her favorite place to be. 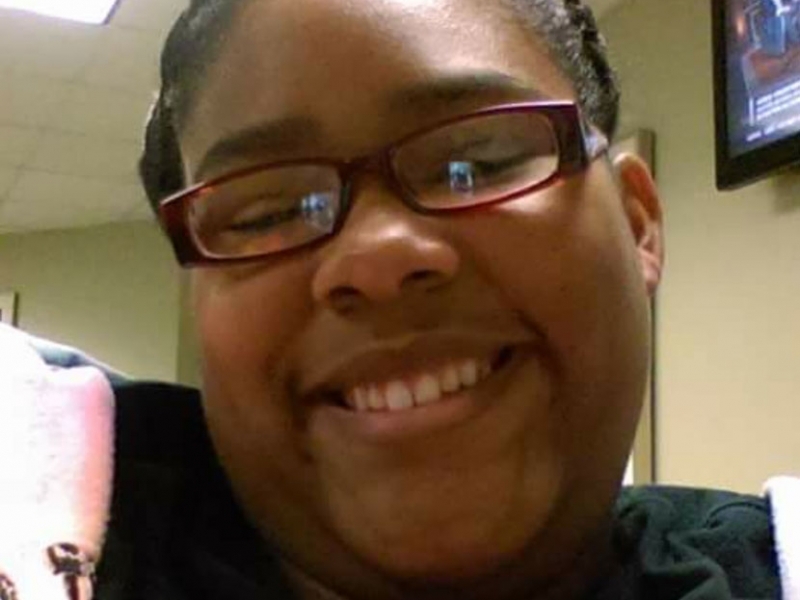 Over the last few years Alayja has undergone multiple surgeries. Two years ago she had invasive back surgery with such a long recovery time that she needed to be homeschooled, and it didn’t even take. When she’s old enough, she can decide to make her own decision to attempt to fuse her whole back and treat her scoliosis, but that will be her call. 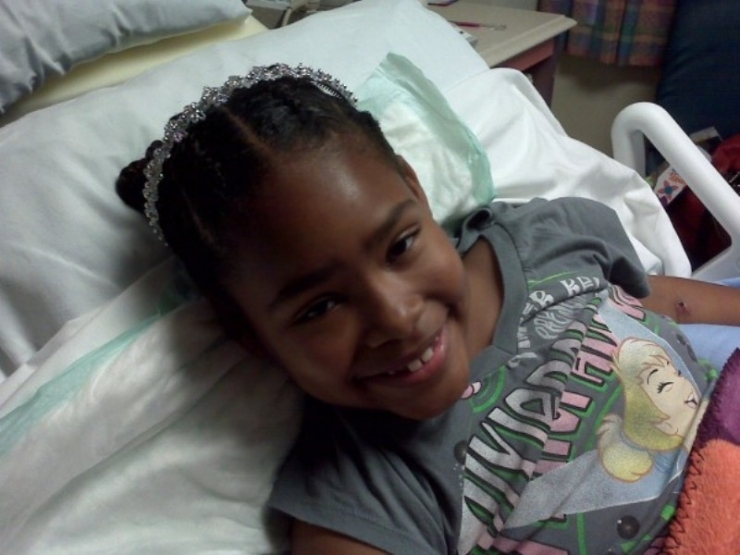 Knowing Alayja, no matter how painful or hard something is… she bounces back with a smile on her face. Four months ago she welcomed a new baby brother, Aurelio. Now she gets to do everything she did with Elgin, with him. 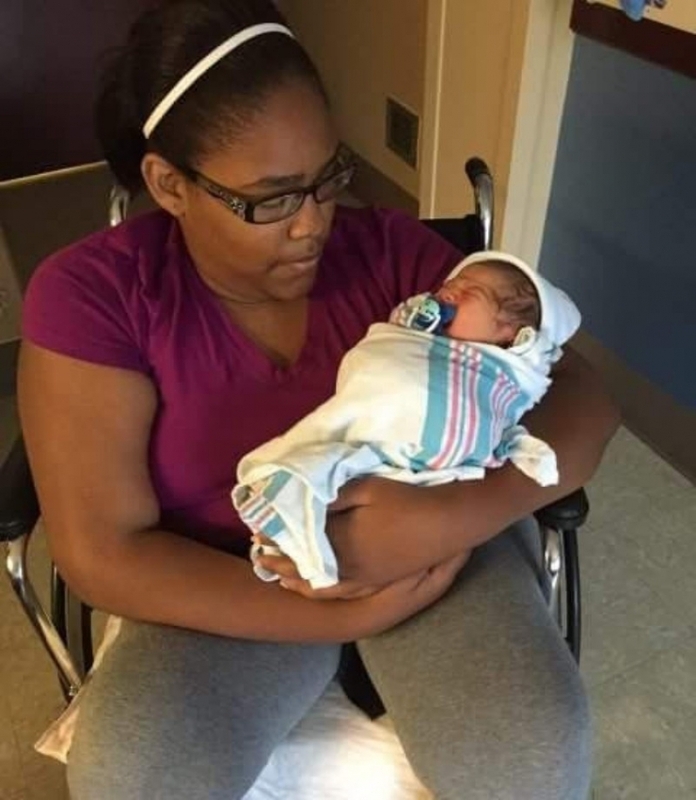 He’ll be walking in no time with big sister Alayja’s help! Alayja has been through more than most of us can imagine, but every day she works hard to get back on the basketball court. She is an inspiration to her two younger brothers, who think she’s a superhero, and she wants to show them what it looks like to never, ever, give up on your dream. Now, with a little help from Chive Charities, she doesn’t have to. Life is full of random events. Some are major and will forever change the course of your life. Some cause tragedy, others cause joy. 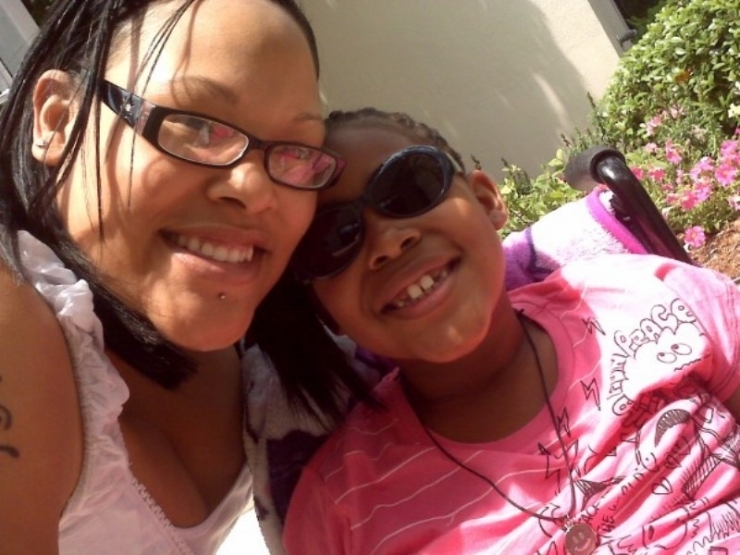 Why Alayja’s body triggered a random event that caused multiple rare diagnoses and took away her mobility will forever be an unanswerable mystery. But, just as random, was Angela entering Superior Van & Mobility dealership in Louisiana and asking about wheelchair-accessible vans. If it had been at any other time, or if she had asked anyone else, she would not have heard about a non-profit called Chive Charities. She would not have been encouraged to reach out and apply. 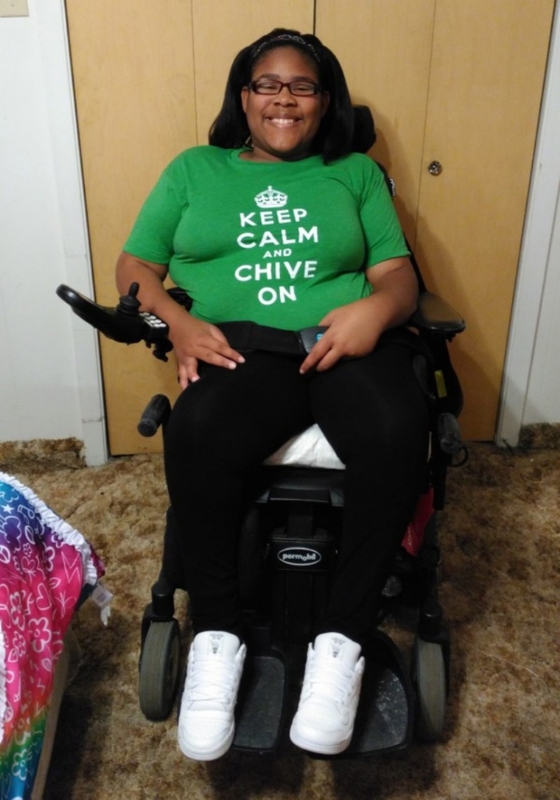 And Alayja’s life wouldn’t have changed in one moment when Angela got the call that they had been accepted, that they were the proud new owners 2016 wheelchair-accessible Dodge caravan with a $48,000 grant from the Chive Fund. When Chivers sign up to become Chive Charities members, their monthly donations go into a reservoir called the Chive Fund. From that fund, we are able to make weekly miracles happen – like getting Alayja back on the basketball court or helping our nation’s heroes get back on their feet. Without these monthly contributions, we would not be able to make the world 10% happier. Thank you to our elite Chive Charities members. You are the real MVPs.